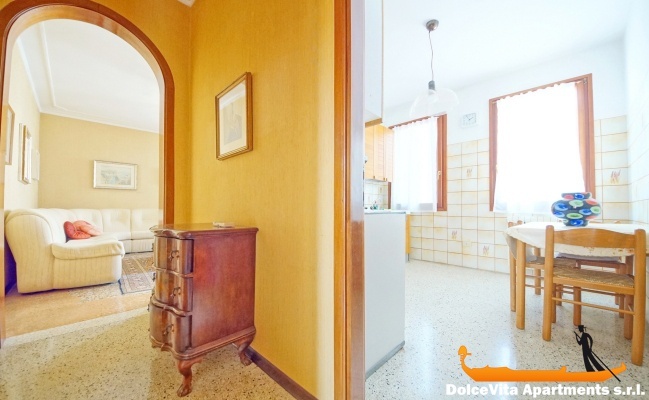 Apartment N. 325: It can accommodate up to 4 people, it is rented from 138 € per Night (not per person). 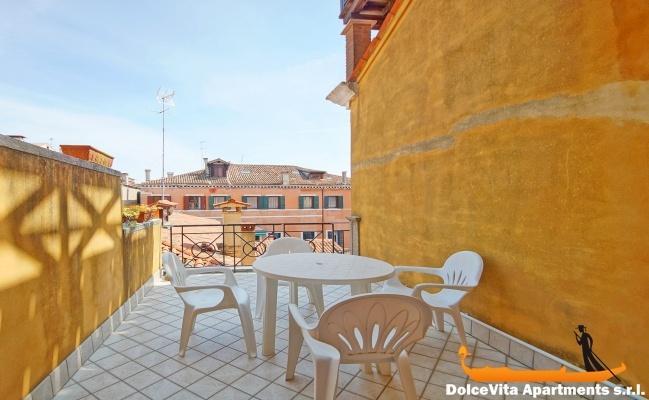 Apartment in Venice San Stae with Terrace: Large and comfortable apartment with terrace in the center of Venice, in Santa Croce. 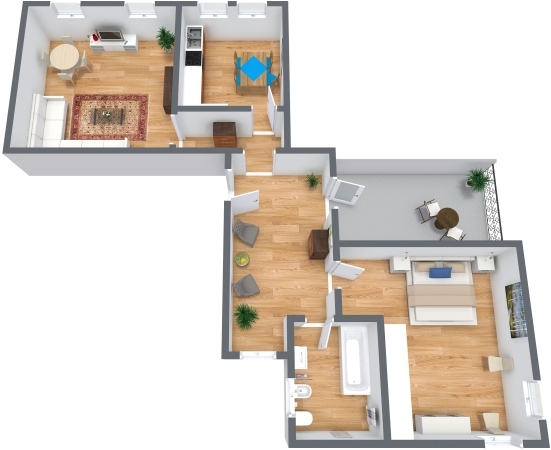 It is located on the third floor and it has: hallway, kitchen, living room with double sofa bed, a double bedroom and bathroom. 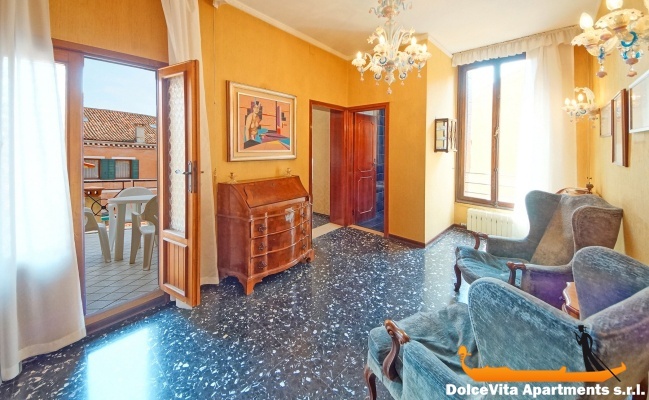 In total, the apartment can accommodate up to 4 people. 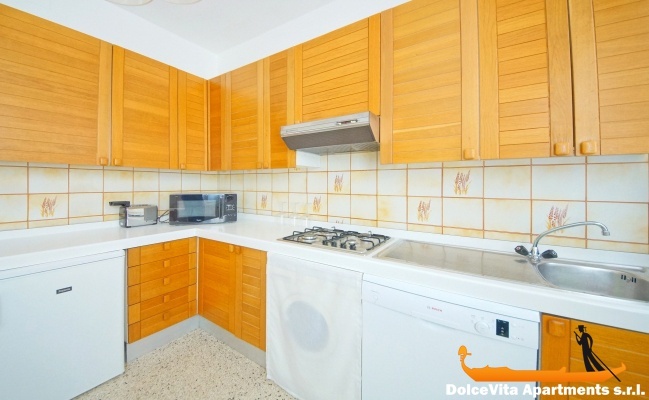 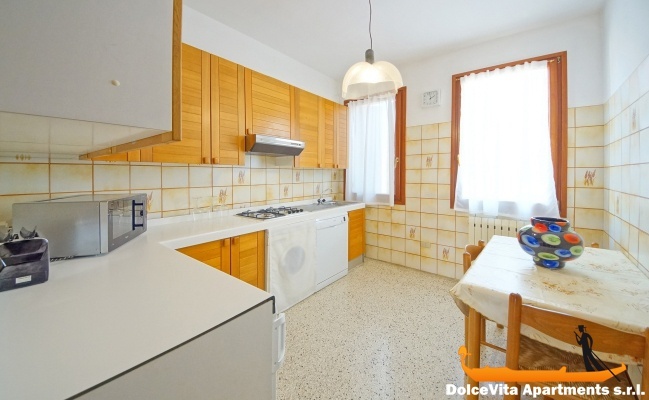 The kitchen is fully equipped with: dishwasher, refrigerator, microwave and toaster. 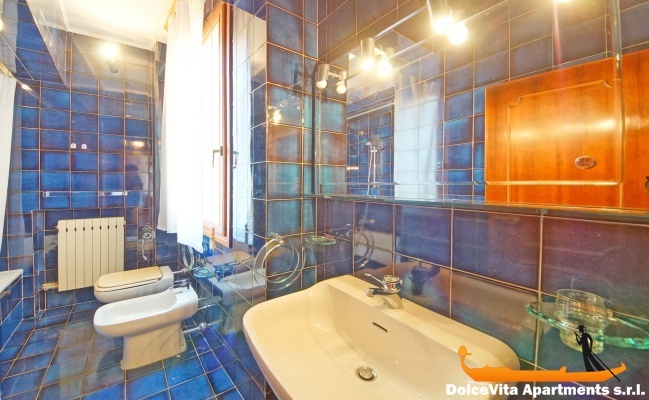 There are also Wi-Fi, TV and washing machine and guests are provided with sheets, blankets and towels. 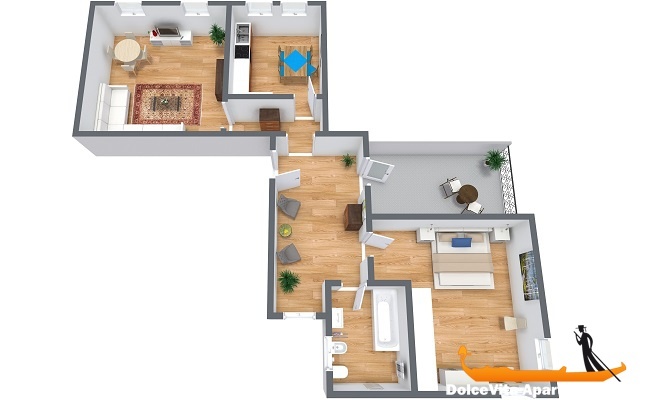 In the house there is also air conditioning. 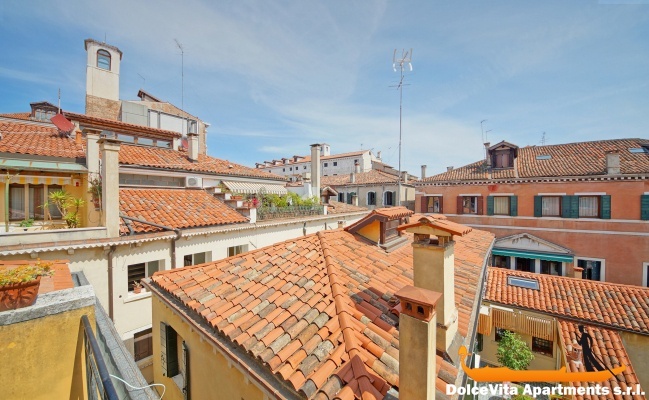 From the terrace you can enjoy a beautiful view of the rooftops of Venice. 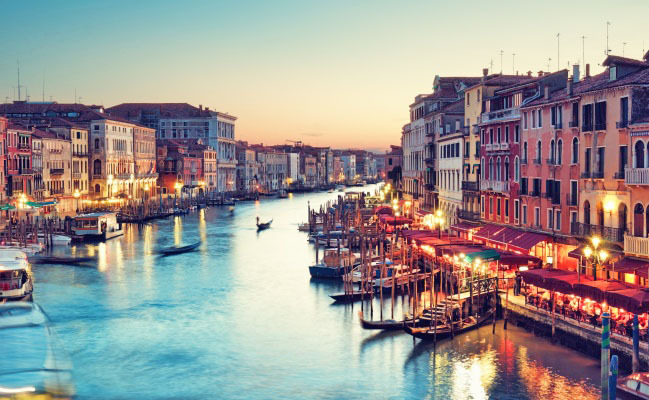 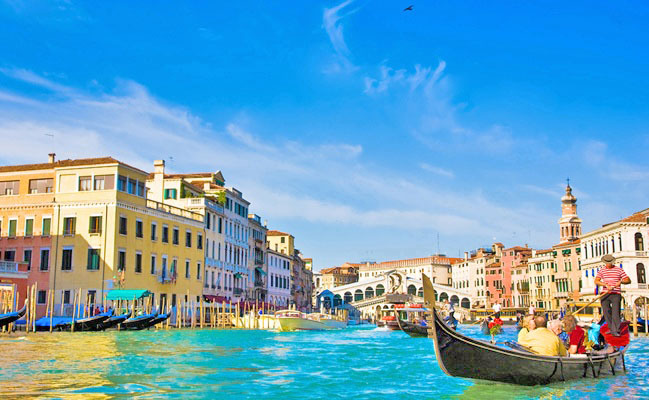 The house is about 7 minutes walk from the Rialto bridge and 400 meters from the church of “Santiago della Orio”, one of the oldest churches in Venice, where there is a beautiful altarpiece by Lorenzo Lotto . 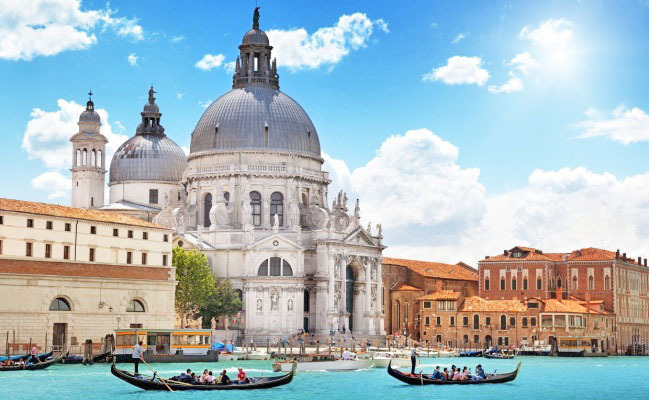 As for vaporetto trips, the San Stae stop is only 150 meters away.